When the holidays roll around, people turn their thoughts to buying presents for loved ones. In an age where more and more people think that buying a gift card is the way to go, actually taking time to purchase and give a gift holds much more meaning. If someone in your life is a golfer, you’re in luck —some truly remarkable gifts are out there for the golf-lover in your life. This year, finding great gifts for golf lovers is easier than ever. Anyone who has spent time on the golf course has probably played the wrong ball at some point. Tin Cup comes to the rescue with its unique stencil kit. You simply order one of their stencil kits, place your golf ball in the half-sphere holder, and use a permanent marker to add your distinctive touch to your ball. You can see the full selection at www.tin-cup.com. 2012 saw an explosion in the demand for Martini golf tees. These colorful and distinctive golf tees are made from a unique polymer resin blend that outlasts wooden tees. Check them out at www.golfgifts.com and at retail outlets. Is there any golfer who doesn’t wish that he or she were able to get some pointers from a top golf coach? 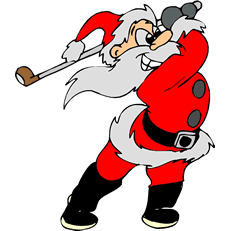 Thanks to today’s technology, your gift can be My Pro To Go, one of the great gifts for golf lovers this year. Simply take a smartphone, record a video of someone’s golf swing from a front view and a side view, and then send the video to the My Pro To Go website, where it is analyzed by a Certified Personal Coach from GolfTEC. A follow-up video lesson, as well as some practice drills, will be sent back from the coach. If this seems like the perfect gift for the golf-lover in your life, go to www.myprotogo.com for more information. Golfers can be stubborn when it comes to playing their rounds, sometimes heading out in terrible weather. When that happens, you can bet that someone on your list will be grateful for the Mobile Warming Gear outfit you selected. Available in a wide range of styles, this golf jacket or vest will definitely please that special someone in your life. You can browse the offerings at www.mobilewarminggear.com. These incredible shoes, created by Adidas, combine classic styling with unbelievable comfort. Available at www.taylormadegolf.com and select stores, these shoes have been designed with the golfing community in mind. No matter how rough the course is, the AdiPure line makes walking feel like a dream. If you’re looking for one of the truly great gifts for golf lovers, look no further than the Celestron CoursePro. This rechargeable, battery-operated golf GPS provides valuable information on over 22,000golf courses. Check out the specs at www.brookstone.com to see the wide range of features this handy device offers. Jeffrey Wright is VP Web Services of EZLinks.com in Chicago, IL. 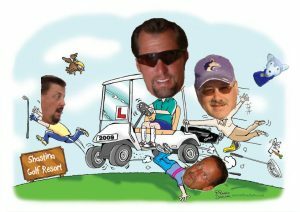 EZLinks is a software and marketing company serving golf courses and golfers since 1996. EZLinks operates the world’s largest network for golf reservations, as well as the highest volume tee time call center in the industry.